An article titled "Branson Mormons promote faith by example" was posted last week on the Deseret News website "Mormon. times". Sheila Dutton of the Dutton family noted Darren Romeo by saying "When we first came, we were told that a famous Las Vegas star tried to put on his regular show here. He had to change his act to survive. The people said that they wanted him to clean up his act or stop,"
Jason Hughes said, ""When the Osmonds first came to Branson, the word 'Mormon' was like a cuss word," implying discrimination is no longer an issue. Missouri has a unique history as it is the only state that has created an order allowing and promoting the legal murder of a person for their religous beliefs. Mormon founder Joseph Smith, aside from being a religous leader was an activist against slavery and preparing for a presidential bid before Governor Bobbs issued an extermination order forcing Mormon leaders to flee north to Navoo, Illinois. In Navoo, Joseph Smith penned "Views on the Powers and Policies of the United States." The political essay written in 1844 asked for an end to slavery. The executive order by Governor Boggs was rescinded in 1980 by Missouri Governor and current Senator Kit "Christopher" Bond. Until 1980 it was legal to kill a Mormon in Missouri without consequence. The document is on display at the "Community of Christ" headquarters in Jackson County, Missouri. The Community of Christ along with other offshoots from Smith's original church are scattered primarily in the Independence area with branches throughout the world. Community of Christ followers distinguish themselves from Mormons acknowledging a split from pioneer Brigham Young who led followers to Salt Lake City after Smiths assassination. The Community of Christ was established after Joseph Smith's grandson was invited back to Missouri from Navoo abandoning the leadership of Young and his ambitions to move church members west. Mormons were instrumental in helping the United States battle the Spanish with a batallion stationed in San Diego. 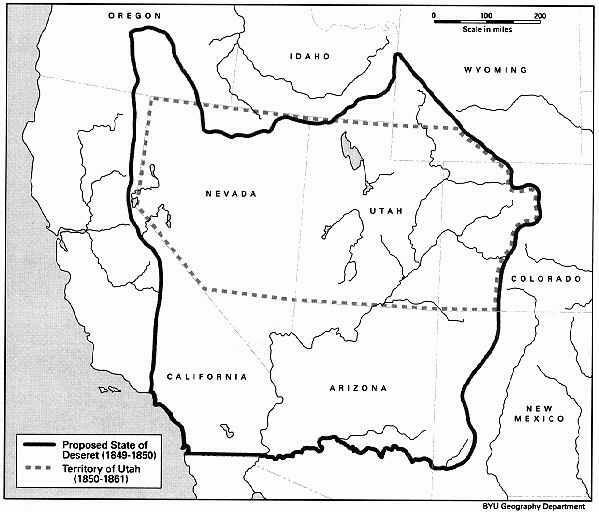 It was Young's desire to create a state titled "Deseret" which extended from Utah to Southern California. 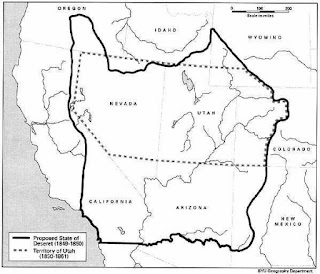 The proposal was rejected and Utah became a state after Young's death. Branson most well known entertainer Andy Williams states in his biography that his father asked him to help the Osmond family early in his career. The Osmonds followed Andy Williams lead to Branson where they opened a theater that has since been sold to Clay Cooper. The Osmonds are still in Branson and will be performing at Music City Center starting in September. Already on par with 1.2 million dollars in municipal legal expenses citizens will have to fork out another unknown amount as promoters of the Grand Palace and Nelly's scheduled outdoor appearance was blocked by Branson City Council. Grand Palace promoters expect to file several motions against the city of Branson by the end of the week. The 6-0 vote in favor of upholding the City Administrator's recommendation to reject a permit is marked with public disapproval. Larry Milton's paid gun "Seagull" was the only member of the public who spoke in favor of censoring the outdoor production. The Branson Daily Independent held off publication until after the decision was made. Former Branson Daily News Political Columnist Cliff Sain was on hand for Gannet's Springfield News-Leader and KY3 was on-hand. The Nelly concert, the city's failed litigation efforts against the Branson Airport and Branson Landing lawsuit have grabbed the attention of regional press. 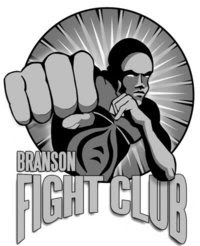 Rance 'The Punisher' Foust will be representing BFC at 'Branson Beatdown 3.' His opponent will be Matt Parsons from Team Alliance in Anderson, MO. This is going to be a tough fight for Foust. He will be competing for the ShoFIGHT Middleweight Belt. Aaron 'Shotgun' Shelton and 'Psycho' Steve Myers will be representing for BFC. Kendall Clark will make his Debut in the cage at this event. The Official Symbol for the 8 Day reports and very fun commentary regarding the Taney County Elections. Today, the judicial race in the 38th Circuit will be covered. Both Tony Williams and Bob Paulson filed early in the day with Williams beating him to the punch. Good faith point issued to Ron Houseman who filed early. the other two Taney County Presiding Commissioner candidtates arrived on the final hour before deadline. Sunshine Request Will Be Filled Tomorrow Regarding Filing Delinquencies . All candidates have received the filling rules and requirements. Please check the dates or we will make fun of you - ruthlessly. Special thanks to Mobile Branson for providing transportation. Reports are being filed for review by regional press outlets. Please Contact (417) 243-0668 for any question or specific requests for public information. . The Constitution states that every man has unalienable rights granted by our Father-in-Heaven. Such a profound accusation as to the rights of men has never had so great and profound effect on the state of mankind in relation to rule. In theory, open government protects our rights. It allows men to exercise the right to "press". To press, or to publish enables self-rule as it provides information we need to govern ourselves. As an American, we are supposed to be a Republic ruled by representatives we elect. In order to elect the proper people we need to understand the workings of our public bodies - those who use our money to serve the people - or in some cases , launder it to their private investments. Because malfeasance is probable with the stakes as high as they are i.e billions of dollars, imprisonment etc., laws regarding government bodies protect the availability of information. For news organizations the dialogue about democracy has another function , it generates cold hard cash. If the government blocks the tools of democracy by distorting or not complying the open government laws a free-press goes out of business. The economics of a free-press have profound implications on the product citizens have in terms of news. Distrust of the press has reached a record-high. Thorough exploration of this topic would take volumes more than will be posted in this story; however, it's important to note that the majority of local publications utilize a government officer self-reporting method. This means politicians themselves report exactly what they want to be published ans the stories are run unabated. Information distributed through press releases is an important component of reporting but the practice of citing these sources has been an act of irresponsibility commonplace in regional publications. It also enables corruption as distasteful politicians can instruct news outlets print information they want the public to be aware of and hide information they don't want the public to know. If we're doing our job correctly, we take information we're given and process this through a system of verification. A statement is an assertion of fact on its own and commonly appears in newspapers in the form, "so and so says such and such". In many circumstances this is the only way to report an event; however, in many cases its the result of laziness as the tools to confirm or deny facts exist and can be communicated by those who choose to protect the public record. If a government body doesn't want to protect access or reduce civil rights to information they can do one of three things. Though some of these methods demonstrate corruption when access to information is being intentionally withheld utilizing these tools it sends off a warning flag that something is very wrong on the public dime. Trickery or common procedure? The City of Branson claims material changes forced Dunn to refile an application...developing. Branson's City fathers are frowning on Branson Mayor Raeanne Presley who commanded the city's public relations department issue a press release that has proved to be of a fraudulent nature. Rumblings in the backrooms of Branson City Hall prompted a post here on the Branson Missouri Blog July 6th asserting that Presley's censorship efforts were waning. Outside of a regular meeting, during a planning session, city leaders came to consensus and rejected a permit claiming Grand Palace owners posted an announcement for the event before a permit was filed. As demonstrated, the release was a dishonest statement. Apparently, Lawson asked Dunn to fill out another form in July a month after the original was submitted and 20 days after the city of Branson has the ability to protest according to statute. At the order of Branson Mayor Raeanne Presley a press release was sent to millions of people across the nation. Under contract with the owners of the local ABC and NBC affilliates KSPR and KY3 Presley currently has complete control over content distributed over a Branson television channel. **At Dunn's request information about a meeting with city leaders previously posted is being pulled. Dunn didn't deny the facts of the meeting; but wanted to protect other members of the community who may be harmed by the information. The information will be published at a later date after appropriate clearance is given. In order to censor "un-Presle"y approved exercises of free speech and specifically to block an annual event titled, "Promenade of Stars", the board of alderman, led by Presley's command changed the "right to assemble" from a neutral process to one which the mayor can reject. The ordinance change is contained in section 450 of the Branson Municipal Code known to civil rights supporters as the "Branson Censorship Act of 2010" forces approval of permits for outdoor gatherings from the parks board to Jim Lawson's department. Lawson came on board in April after a whistle-blower who accused Presley's administration of fraud was fired. The event is a Macy's type parade where internationally recognized stars and some of Branson's lesser known acts such as the "Presley Cave Jubilee" are given national airplay. Branson Tea Party activist Gary Bartlett has financed the parade through business development deals, importing internationally recognized talent and inking major brands to bring the event to a wide audience.The family friendly event was held last year on Branson's 76 strip. The Branson Chamber of Commerce figures estimate the parade is worth millions in revenue and unlike the Presleys, doesn't require tax funding to market aka finance. City officials confirmed that last month a meeting was held at city hall which included a representative from the Branson Chamber of Commerce to negotiate with leaders who have been working to censor the event. Bartlett's application hearing is being held in August. The issue of whether Presley has the right to censor free speech in Branson has not yet been challenged but disrespect for the veterans who have fought and died for the right is inherent. Unfortunately, individuals with specific business interests are participating in an ad-hoc process which flagrantly violates 1st Amendment rights. According to the Constitution of the United States the right is granted by the almighty not a business competitor. On Wed. July 21st at 10:36 a.m. Dunn submitted documents appealing the decision. In the 48 hours prior Dunn received a note of support from neighboring businesses which included Andy Williams theater. Other issues including parking were also resolved and supported with documentation. The Branson Landing is on par for a quarter-of-a-billion dollar year and you'd think this success story would have some traction but outside of Branson this fact isn't being published. The importance of a 100 million dollar half-year is marked by a massive misinformation campaign propagated by City of Branson officials. Prior to becoming mayor, Raeanne Presley was a big fan of subsidizing retail in Branson. In fact, she submitted plans to build a "Mall of America" which was rejected by city leaders. In addition, some of Presley's business partners were tipped off to Branson's plans to build a convention center. While the convention center plans were supposed to be kept on the "down low" a group of thugs decided they were going to cash in with the inside information they gained. The importance of keeping the project "hush" was to put on a proper poker face for the city of Springfield. Intent to break a silent agreement where Branson would stay out of the convention center business while Springfield refrained from the entertainment market was going to be disregarded either way. After developer Rick Huffman pursuaded then Missouri Governor Mel Carnahan Bob Holden to kick in an extra $50 million on the convention center project logistics forced a major change. A tax increment finance (TIF) district required jurisdictional limitation that eventually brought the project to the lakefront connecting the Branson Convention Center and the Branson Landing. The insider trading deal went sour and a great divide ensued. The fallout continues to this day. Presley and Branson's current Board of Alderman are more than happy to badmouth the Branson Landing. Ironically, it's their job to ensure the projects success but elements of the project which allow the city to host public gatherings have been ignored. In fact a constant stream of negative and often untruthful statements about the Branson Lakefront project continue to spew from Branson's current leadership to the press. To date, since taking office, Presley has generated a fat $0 in revenue generating projects, over two-million in unsuccessful witch hunts and a record amount to fund "Mayor Fun Trips". The Branson Landing and Branson Hills now account for over 20% of Branson's current cash flow and while the projects are continually badmouthed Presley has no problem spending the new windfall or revenue. Due to these developments Branson currently boasts over the last five years more annual tax income than the city has ever seen. Record subsidies are being given to generate demand for Branson's theaters and the tax dollars seem to flow to a few businesses which include the mayor's personal business. The inorganic stimulation is required to generate traffic to entertainment venues with an aging/dying population. Interestingly, while the current city administration complains about the cost of the revenue generating projects tax funds utilized to market theaters such as the mayor's personal business have seen an increase. The political reason for not supporting the cities investment is simple. Branson's leaders want to raise taxes to fund their private business and as long as the press remains docile regurgitating city releases instead of analyzing facts, our tax dollars will flow from the poorest to the few corrupt officials in what amounts to the expanding subsidization of politicians private endeavors. Nelly tickets are going fast according to the Grand Palace theater owner Paul Dunn who believes tickets will be sold out mid-week unless his request to hold the concert outdoors is honored by city leaders. Dunn's request to hold the concert outdoors was answered in a press release and distributed to media outlets nationwide. An interesting caveat to the story is the fact Branson's Board of Alderman released their decision in a planning session rather then a regular city meeting. The majority of these are unattended by press representatives and have allowed city leaders malfeasance without consequence. The dangerous trend of media outlets publishing press releases without sourcing has compounded the problem as Branson's mayor has has unfettered access to print false data at will. On Sunday the Springfield News-Leader printed a story on the front page defuncting some of the statements Raeanne Presley has been pushing to the press in regards to the Branson Landing data. When it came to Nelly performing outdoors the city leaders were quick to bypass processes in a story that got national airplay. Presley, since elected to office, has used heavy handed legislative action thwarting a prospering free market economy and forcing local business entities to get mayoral permission before they access constitutionally promised rights. Last months distributed copy at city meetings contained more legislation than President Obama's health-care package. Dunn was diplomatic in a report issued by KSPR earlier today noting city leaders have been working "behind the scenes" to ensure the concert could be held indoors. Still, Dunn expressed his desire to move the concert outside as intended. The city's official excuse was that Dunn didn't complete his application for an exercise of "free speech" outdoors. While the city offered to bend the rules regarding indoor permitting no such offer was made to help Dunn hold the concert outside. While the tax payer subsidized Presley theater (millions in marketing dollars) hasn't been successful in bringing new people to Branson, Nelly seems to have no problem. In fact, the demand for A entertainment in Branson is so large that it would take an outdoor venue to meet the rising demand. The city of Branson had a tough week as Branson's dishonest statements regarding the Branson Landing finances covered the front page of Sunday's Springfield News-Leader. A well timed press-release was issued this afternoon to move focus to Branson's green initiatives. Some call it eco-socialism while others call it being good stewards of earth. Oddly the environmental destruction (ie 20,000 gallons of water) to create solar powered stop signs at an expense of over $2,000 a pop didn't come into question. Expect Branson's business partners KSPR and KY3 to run this story on tonight's prime time news broadcast instead of correcting the fraudulent numbers they published last week on the Branson Landing debt. No complaints have been issued regarding the traditional reflective signs which costs the city of Branson under $125 to create. 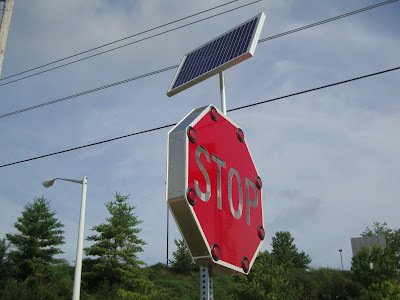 Of course, the city of Branson currently builds signs in-house which forces the city to use the local work force. While economic sustainability isn't being questioned the issue of "sustainability" focuses on regulating private property and both has and will continue to erode property rights. electricity powers the flashing red LED lights around the signs. recoup that money over time in electric savings. intersections because their locations make them difficult to see, and especially after dark. attention to a distracted driver up to two miles away. improve safety at the intersections. As the morning sun rises and I emerge from a 6 hour stint of unscrambling rogue PHP I'm reflecting on the nights events. A website I had the privilege of working on several years ago is now fixed. Hundreds of people and multiple data sets give those searching for real estate in the Branson market access to integrated maps of 561 real estate agent listings, nearly 6,000 properties and the ability to cross-check data against the county sexual offender database. It's still cutting edge after 4 years (which is light years in Internet time). Though I was able to find funding for the project though a local entrepreneur; I am painfully aware that the project is the culmination of hundreds of people. Even today, every agent in the market will upload data for programs to process at midnight. A kink in the wheel could stop a massive engine from turning calling me in for repair duties. Prior to tackling data I'm working with a partner on a survey of foreign laborers imported to Branson from overseas. Through the course of the evening I meet eight groups of foreign workers. Each group is segmented by nationality. Twelve Russians, eight Macedonians, three Turks and seven Kazantzakis pay between 2,500 and 5,000 to work in glorious Branson. The fact is a bit irritating since the welfare dole overwhelms our Christian County neighbors. A legislative meeting at Branson City Hall conflicted with a debate at the Keeter center. While the majority of my career has focused on technical know-how, trends force me to adjust my strategy and collaborate in new ways. Back to the Keeter Center. Three major players lack of attendance weakened the civic value of the debates. For Missouri's District 7 Congressional seat both state senator Jack Goodman and Gary Nodler are absent. For Missouri's open Senate seat Congressman Roy Blunt isn't present. Though more are missing the three politicians mentioned above have a high likelihood of victory. Hollister's favorite political irritant Ricky Renfro promises the video of the event so I took advantage of my time at the debates to work the halls and gather political intel. Like the cron job on the real estate site Renfro delivers by morning. We struck a deal. If he liberates the data I'll run a post for his favorite candidate. At Branson City Hall, former Nixa Alderman Micheal Durbin's on the case. As a conservative at a Branson Alderman meeting he's alone amongst a herd of liberal sheep; but he's a fighter, understands municipal law and procedures and I believe he'll serve Branson as a good watchdog for the public. I'm excited to see his work. Prior to arriving in Branson I worked as a strategist for a silicon valley tech firm. Corporate intelligence is far more complex than politics. While sharing information in business can get you in legal trouble, withholding information in politics is illegal. Southwest Missouri Politicians have to develop a strong ground game to win elections and one politico recounts having phlem hawked into his face after telling the citizen what party he belonged to (she didn't like Republicans). I bet he wished he didn't knock on that door. A congressional candidate shares his non-stop schedule and frustration with constantly answering false accusations. A local politician recants a threat issued by a local reporter (he/she has a foot high stack of papers detailing what a horrible guy he is). Twice I have to issue the riot act but it's enough pressure to learn about the character of the candidates. The photo posted above was taken in Tijuana. To the right a fence runs westward. 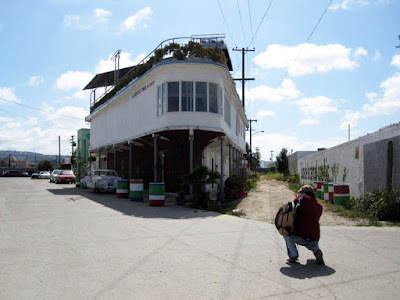 The house in the photo is called "Casa del Tunel". The location, just a few meters from the border, once housed an underground path used for smuggling drugs and humans into the United States. Contraband trafficking from Mexico is well known through the reporting efforts of our national press. What isn't well known is that a form of contraband flows south from the United States to Mexico. Newspapers are printed in San Diego and flow into Baja California, Mexico where reporters are killed without consequence. A press pass is a great way to verify death certificates and San Diego provides a haven for international democracy because the founding fathers of our great nation created a living document promising a god-given right to print aka to press. Mexican publications print in the United States where the Mexican officials can't thwart their efforts. I am more than keenly aware of my rights as I navigate the border and act with care as I engaged the locals to discuss the politics of Baja California. The politicians buy out the papers as quickly as possible to prevent them from reaching the people and the citizens of Mexico treasure the words of integrity imported from the United States of America. The press, as our forefathers understood, prevented totalitarianism and preserved the gifts God graced upon his children - mankind. After all as Paine professed it is the path of politicians to put themselves upon pedestals both symbolically and literally to prop themselves above God. I've been fortunate enough to earn among others a White House press understanding a company affiliation was not the criteria our forefathers intended. Thomas Paine was not a corporate whore. To circumvent corruption Mexican law, as most of the free world, prohibits politicians from owning equity in media companies. The relationship that KY3 and KSPR have with Branson's mayor would result in criminal charges as its impediment to democracy is acknowledged as substantial. Without filter or attribution many media companies are printing politico produced material. Several fraudulent statements have been broadcast through our airwaves and television cable because corrupt leaders are enabled the privileged of dictating what media companies tell the people. Whether it's due to laziness or outright participation in corruption is debatable, but the consequences are apparent and their revenue is dwindling. The most tragic component of the decline of a free press is the disrespect it renders to our forefathers. Journalists without borders published a disturbing fact about American freedom. A study they conducted ranked the United States as the 36th freest press. And in their last breath in a foxhole overseas I'm certain a whisper was never uttered to a dying veteran, "Thank you for dying to make us the number 36". Their are soldiers in Iraq, Afghanistan and others stationed throughout the world. We have soldiers here too. When you hear a sermon from the pulpit know this too is a 1st Amendment exercise. And when those who hate freedom take control of nations they do so with the help or slaughter of both religious leaders and journalists - after all these are ambassadors of truth which inevitably sets people free. I carry no physical weapon only a sword of truth and my shield is the constitution. Each time I've witnessed leaders disregard the constitution assisted by the corporate press I see this tremendous disrespect for those who payed the greatest price so we may live, worship and communicate freely. Yesterday I attempted to speak with a prisoner being held at the Taney County Jail. I had no expectation of actually meeting him during this visit but was practicing due diligence. The accused murderer had an 8 1/2 hour standoff with the Branson Police and I wondered "What was this guy thinking". The public wanted to know. I took a picture in the waiting room of the jail. An officer yelled at me asking me to delete the photo on the way out. I was apologetic but stated, I can't do that. It was only a photo of a panel that I believed depicted the high-tech nature of the facility, but the principal was greater than my own self-interest. I didn't believe the authority had the right to censor against the rights many of my family member defended - no right to take suspend the 1st amendment. The camera was ripped out of my hands and harsh words were spoken. I was detained in the lobby and accused of a variety of things before a supervisor came into the room and made me turn the camera on and show him my photos. I can't say that I wasn't terrified and wondering if my small defense of civil liberty was worth what pain I might endure. Having been detained after making a request to the police department once I learned clearly what can happen if the courage to seek the full truth is applied to a government body armed to the teeth with weapons. Was my constitution valid or would I be detained for an extended period of time? I was horrified as my imagination roamed through the variety of scenarios faith in the constitution could manifest. The second official said he needed his supervisor and a twenty minute conversation ensued outside. A judge and a sheriff would determine my fate. By this time the jury of police officers rose to five and the highest ranking supervisor entered the waiting room where I was being detained. Taney County Sheriff Jimmy Russell confirmed my right to shoot photos in the lobby of the facility and my right to keep the image remained. But their was a caveat. It was explained to me that no members of the press are allowed to interview inmates - it was nothing personal - the policy was affirmed when a KY3 reporter tried to interview Pete Newman a month earlier. I spoke with the officers about the importance of the constitution and have found law enforcement official invaluable to assisting citizens with understanding the communities I cover. They too allow us to be free. As policy, I print at the request of local law enforcement authorities so they can do their job - unlike my brethren in the trade - I disclose the source correctly labeling the source. I hope the Taney County press policy changes and don't like the idea that a press pass now limits me from unfettered access to the public jail. At the same time I have comfort in knowing that other people in my profession will not endure the same fear and humiliation that I felt when they enter the waiting room. I thank God for the veterans that preserve this freedom and abhore those politicians and corporations that plot against the liberation of information for profit and social gain. This works for a moment but quickly erodes the public trust. By giving our natural rights to irresponsible corporations and by allowing them to refrain from confirming truth and blindly regurgitating false information, they pervert justice and will continue to see the financial decline and lack of public trust we see today. Two years ago I made a major mistake.I denied assistance from two attorneys that offered to help battle the illegal activities of the Presley administration. I chose to protest by breaking format. The small window started a chain reaction and an opportunity for some that hate god-given and constitutionally confirmed 1st Amendment liberties. Some of this damage and attempts to harm my ability to perform my duties linger today. In retrospect I should have remembered the promise of America's first journalist Thomas Paine that leaders will through their actions put themselves in a position that denies God's gifts to men. Perhaps, keeping this in mind I wouldn't have taken for granted that the rights my forefathers fought and died for have to be preserved today. Fortunately, they can be settled in the court room if inspired men choose to honor the graves of those who died for freedoms we enjoy today. Rousseau said, "Man is born free but everywhere he is in chains". It's my hope that I can be a small part of liberating men by liberating the data that helps us remain free, giving us knowledge we need to remain self-governed. My freedom was suspended for an hour but my duty is to serve the quarter of a million people who have sought my works for information about the political bodies responsible for serving us. I pray to God our liberty will be preserved and that one day we will regain the honor of the freest press in the world. We owe it to those who made the ultimate sacrifice and those who continue to make sacrifices for our freedom today. The Associated Press ran an announcement that Nelly will be performing at the Grand Palace much to the dismay of Branson politicos. The outdoor concert is slated for an Aug 21st appearance. For locals not invested in the handful of private businesses subsidized by millions in tax payer funds - including the mayor's theater - new business is a good thing. For the mayor, new development and new venues , though good for the overall economy threatens to cannibalize a handful of private businesses who have heavy handed control over millions in tax dollars funneled to a small group of businesses that haven't generated new revenue for decades. Presley's partner in crime, KY3/KSPR ran a false report last week overstating by millions, debt incurred by the Branson Landing development. The intentional misrepresentation to the public was shadowed by a 5 year TIFF report that revealed the Branson Landing and Branson Hills have generated substantial revenue and aren't cannibalizing current business districts. The misrepresentation was based upon a bond called Branson Landing 2003A. The debt includes land purchases, a convention center and downtown infrastructure, much of which occured before HCW's Branson Landing was established. For over two years KY3 and KSPR have run only "Presley approved" stories instead of sending reporters to cover the facts of the administrations actions. Proving they can do a good job when present, the KY3/KSPR corporate press did an excellent job covering a standoff last week. Unfortunately the trend hasn't continued. Only one meeting has been attending by the media corporation in two years; but several stories aimed at harming businesses in competition with Presley have run over the past two weeks. With the help of KY3/KSPR, Branson's history is currently being rewritten to exclude the California blood that brought Branson into the national spotlight. Public airways contracted to Branson's top politician have allowed a "focumentary" to air that claims the Andy Williams interview that brought Branson into the national spotlight focuses heavily on "The Presley Theater". The "documentary' style propaganda piece which runs every half hour doesn't even mention Andy Williams who was written out of the story. Under the contract, Branson's mayor has exclusive control over what is published on the television station. When the national publication Billboard scheduled an event in Branson, Presley and city alderman expressed concerns over what type of music might be played in Branson. Hip-hop was specifically frowned upon enciting some alderman to mock the art-form. Nelly's arrival to Branson signifies a regression of Presley's Kremlin style grip on Branson's economy. Currently, local businesses have to get special permission from planning and zoning if they want to extend their business hours and a massive utility rate increase is in the works to increase marketing funding for the theater business which includes the mayor's personal venture.The rate increase will serve as a tax on hotels and restaurants. Two studies aimed at propping up the theaters as the exclusive source of tourism have backfired. One study conducted by the Branson Chamber of Commerce revealed more people were coming to the Branson Landing than all of Branson's theaters combined and while an additional 15 million in special taxes have been spent Branson's theaters are competing for a waning piece of the "tourism pie". The second study which hasn't been covered by regional press was released in the 5 year TIF meeting and shows Branson's 5 years of record revenue haven't been the result of Branson's traditional theaters but rather a stimulus generated by Branson's new offerings - Branson Landing and Branson Hills. The Grand Palace has had it's own vein of controversy as Branson's former mayor publicly criticized the rowdy crowds generated by a tour of 80's hair bands before the theater closed. While the mayor's theater hasn't generated new revenue for Branson in a decade, the wheels of change have brought new revenue in contrast to the national trend known as the "Great Recession". The flood of income. All the mayor's best efforts to thwart a free market economy are in vain and while local shows debate the purity of old country vs new country a new crowd of tourists will arrive - this time with a version of "Country Grammer' that hasn't yet appeared in a Branson venue. BRANSON, Mo. (AP) -- Branson will expand its musical offerings when hip-hop artist and rapper Nelly performs at an open-air concert on Aug. 21. The concert will be part of the reopening of the Grand Palace, which has been closed for renovations. Nelly, a native of St. Louis, will perform in the music venue's rear parking lot because of continuing construction inside the building. 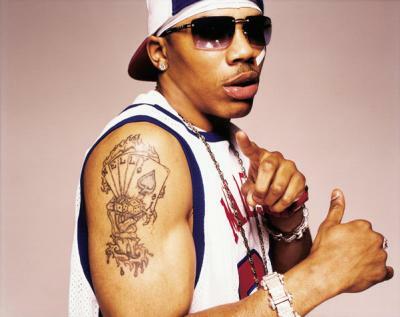 Paul Dunn, manager of the Grand Palace, says Nelly's show will be the first hip-hop concert performed in Branson. Dunn tells KSPR that he plans to bring a wider variety of new, famous artists to the resort town, which is generally known for its country, bluegrass and gospel shows. Nelly, whose real name is Cornell Haynes Jr., is a Grammy award winner who has had hits such as "Country Grammar," "Dilemma," and "Hot in Here." 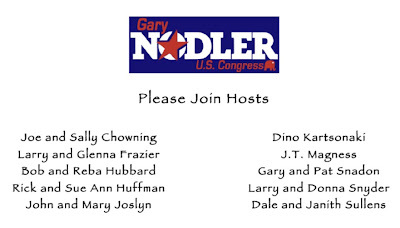 Branson, MO: Gary Nodler, Republican candidate for United States Congress, has plans to become acquainted with area voters and to discuss concerns about “our government in Washington D.C.,” between 10:30 a.m. and noon at Dino’s 24 Karrot Café, 204 N. Commercial St., Branson (in Chappy Mall) on July 14. No RSVP is required and the general public is welcome to attend. The event is being co-hosted by several area business and community leaders to provide voters an opportunity to learn more about Nodler’s years of experience in private business and public service before they go to the polls on August 3. Co-hosts include John and Mary Joslyn, Rick and Sue Ann Huffman, Gary and Pat Snadon, Bob and Reba Hubbard, Dale and Janith Sullens, Larry and Glenna Frazier, Larry and Donna Snyder, Sally and Joe Chowning and J.T. Magness. Larry Frazier, Sally Chowning and J.T. Magness are co-chairs of the Taney County Nodler Leadership Committee. Noting the individual contributions of his supporters to the history of Branson theater and music industry with the Foggy River Boys Theater, the Shepherd of the Hills Theater and The Titanic, Nodler said those on his committee “have helped make the area one of the nation’s premier vacation destinations. Many of our newer citizens have chosen this area to live because of the leadership these business leaders have contributed to the area,” he said. Author/writer/editor Reta Stewart Allen (nee Spears-Stewart) will be signing her book, Remembering the Ozark Jubilee, Starring Red Foley, at 1:30 p.m. on Sunday, July 11, at the Hungry Hunter Restaurant in Reeds Spring. The event is a project of, and will benefit, the Stone County Historical/Genealogical Society, announced Lois Watkins, who serves as president for the society.